Even though it’s midweek I already have the weekend in my sights and that usually means pancakes in our household. 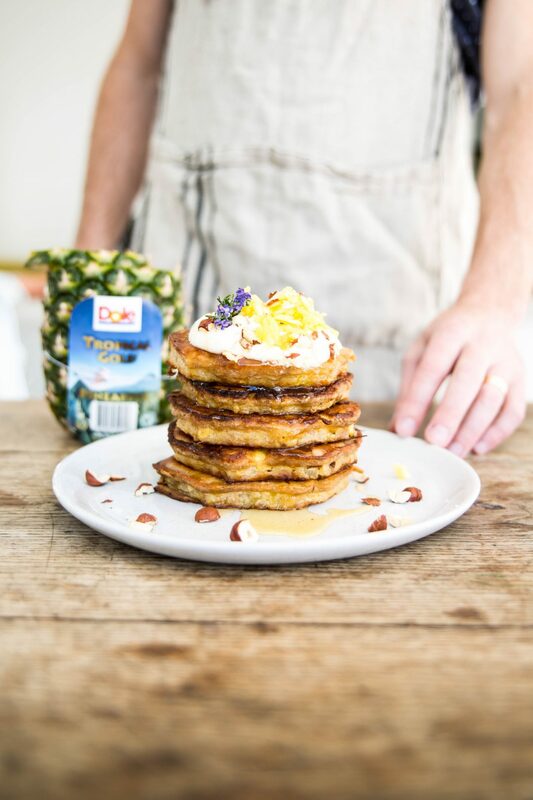 To celebrate International Pineapple Day I’ve partnered with my friends Dole NZ to create these Pineapple Buckwheat Pancakes with Tahini Honey Yoghurt. I’ve loosely called them pancakes but they’re more like buckwheat battered thick juicy slices of pineapple goodness that would equally pass as dessert. 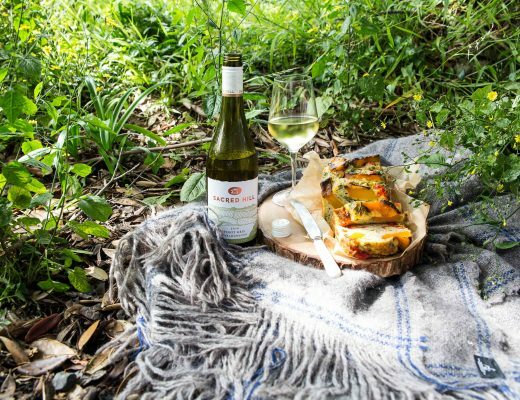 Dole NZ pineapples are Rainforest Alliance certified which means they’re grown according to strict sustainability standards that protect wildlife and improve conditions for workers & their families. They’re also full of fibre and a great source of vitamins B1, B6 and C.
Whisk together the eggs and milk. Add the buckwheat flour, cinnamon, coconut sugar and baking powder then whisk until smooth. Heat a non stick frypan over a medium heat. Once the pan is heated, add coconut oil and dip one slice of pineapple into the batter and then place on griddle. Cook for 2-3 minutes and then flip. Repeat for remaining slices. For the tahini honey yoghurt mix all ingredients together and dollop on top on pancakes topping with extra honey and pineapple if you wish.